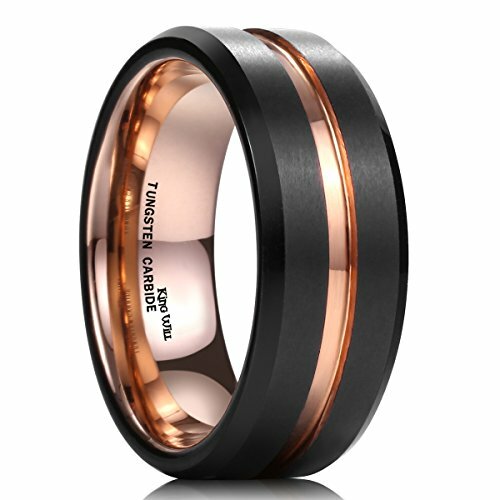 King Will, not only an excellent brand of tungsten ring on Amazon, but also means strong will and great courage like spirit of a king, whenever facing at any dilemma. “You never know how strong you are until being strong is the only choice you have.” Tungsten, hardness is second only to diamond. Inspired by the meaning behind tungsten ring, we create King Will. “To the world you maybe one person, but to me you maybe the whole world” King Will offers various kinds of ring designs to witness wedding ceremony, engagement moment, and extraordinary days or things that is very important to you……Designed by delicate craft, each of them is beautiful, comfortable, worth. We are committed to King Will’s credit worthiness and hope all the rings can keep a good condition, so that we provide LIFE TIME WARRATY. But it normally only cover issues that were built-in to product itself, excluding the damage result from buyers themselves.